In March 2017, I attended the final eTourism Labs, a travel & tourism conference focusing on the digital world. Even though it has been a year, the top tourism trends from that conference are still relevant today. Here are the top 4 trendiest trends I heard about over and over from presenters. Lazlo Horvath, President of ActiveMedia, said it best. “If your website isn’t responsive, it doesn’t exist.” Another presenter commented that “mobile has been a trend for the past few years” and it’s true. Google’s algorithm now rewards sites for being mobile responsive, and punishes sites that aren’t. Everything is done on mobile. 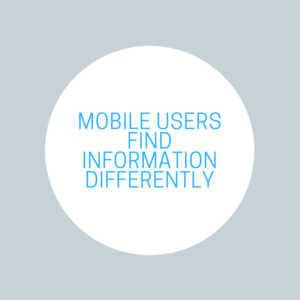 Consider how mobile users find information differently – how you find information differently on your phone. What mobile users are looking for for is different, and using that information on your destination website will provide a more positive mobile visitor experience. Because of the differences with mobile users, many old standards are being flipped. For example, putting a call to action at the front of a video, rather than its end. Just like mobile, this trend isn’t new, but is still trendy. The interwebs are a visual space and people are more and more text-averse. Presentations at the conference covered everything from visually strong websites to visual data representation. 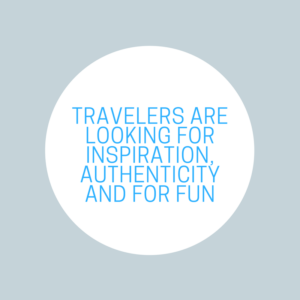 Travelers are looking for inspiration, authenticity and fun from the travel industry. They are looking for a taste of what they can look forward to on their trip, through a destination’s website. Photos, videos and other visuals make a destination come alive, and make decisions easy. They can even reduce bounce rate on your website. Win – win – win. This trend has a wide range, from simply using a name in email newsletters to hyper-targeted advertising. Start simple and include names in the subject line or body of the emails you send out. Surprisingly, using both the first and last name together is better. It has been shown to outperform the use of just the first or last name. 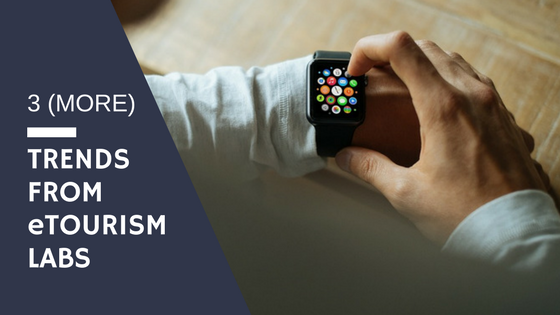 Whoever is running your marketing and advertising – maybe it’s your staff, or maybe it’s an agency – will have suggestions on where to add personalization. In advertising, you can differentiate your message to hyper-targeted audiences. 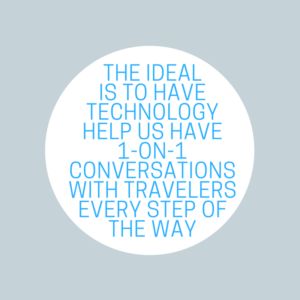 Ideally, technology will eventually enable 1-on-1 conversations with travelers every step of the way on their path to purchase. Is ROI really that valuable? Not according to several presenters at eTourism Labs 2017, like Gray Lawry, VP of Strategy and Insights at Miles Partnership. Lawry says that ROI, which originated as a financial formula, doesn’t translate well to the tourism industry. 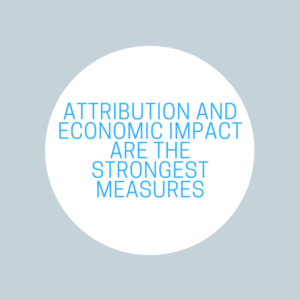 Instead, attribution and economic impact are the strongest measures and the most critical to proving what you do. What’s recommended? Tools like Adara, Arrivalist and Sojern that track actual visitation. Couple that with a research partner to point you toward real impact numbers. Many case studies also used surveys, Google Tag Manager and heat mapping tools to collect data that points to real travel. 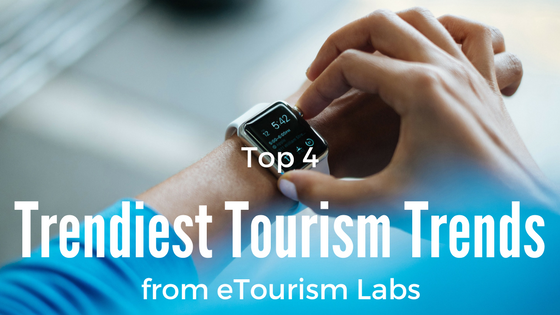 Keep reading about 3 (More) Trends from eTourism Labs I loved last year. These include more hot topics related to these top 4 covered above. One of the ways we use mobile differently is voice search. On our phones, we aren’t taking the time to type in a search. We’re asking Google and Siri for the answer! And the search results are different, too. Another trend you’ll see in the additional trends is native advertising. This is a trend that goes along with the personalization trend. Native advertising is actually content that looks and feels the same as other content on a site. Finally, user generated content is a perfect trend for the tourism industry. It’s a trend that solves two problems: the need for visuals and the need for authenticity.